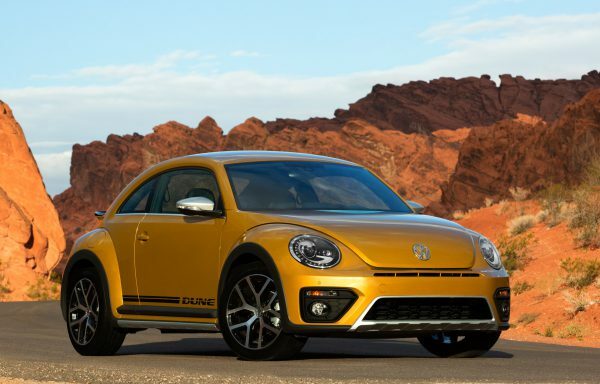 Is the end in sight for the Volkswagen Beetle? It probably shouldn’t come as a huge surprise. Earlier this year it was confirmed there was no immediate successor lined up for the current generation of the Volkswagen Beetle. Although in some European markets it has been discontinued, and in others like Germany it’s only available to order in cabriolet form, VW USA was saying it had no plans to discontinue the model in the US at that time. However, six months on, it appears the end is nigh as VWVortex is reporting a Final Edition Beetle for the 2019 model year looks to be a possibility, according to VIN code information submitted to the NHTSA. It probably shouldn’t come as a huge surprise, as a 53-unit Final Edition was produced for Australia as long ago as 2016 to end sales of the Beetle there. But the US market is very different and a number of models discontinued elsewhere continue to sell in big numbers in parts of North America. Currently, the Beetle is still listed on VW’s US website in both its hard and soft top formats, although its sales last year of just over 15,000 were a long way down on the 43,000 peak for the model back in 2013. Even though it looks as though the Beetle as we know it is coming to the end of its time, it’s hard to imagine this being the end of the Beetle name in the Volkswagen portfolio for good. The name will be shelved for the time being, but there’s a good chance that it will make a return at some point — and probably not too far in the distant future. In the short term, the I.D. Buzz electric microbus will carry the torch as VW’s heritage-inspired model, but the temptation to revive the Beetle name for a future electric, retro-inspired vehicle of some sort is likely to be irresistible. After all, this wouldn’t even be the first time what we still consider to be the “new” Beetle has had a Final Edition. Back in 2010, the original complete redesign of the classic Beetle was run out in favor of the chunkier model we see today with the 2010 Final Edition New Beetle that was only available in Aquarius Blue. Nothing has been confirmed by VW at the moment, but watch out for the Los Angeles Auto Show in December as a likely venue for the reveal of a Beetle swansong model.